Maâlem (or ‘master musician’) Houssam Guinia is the son and successor of the late Mahmoud Guinia, an emblematic figure in the practice of West-African Gnawa music. 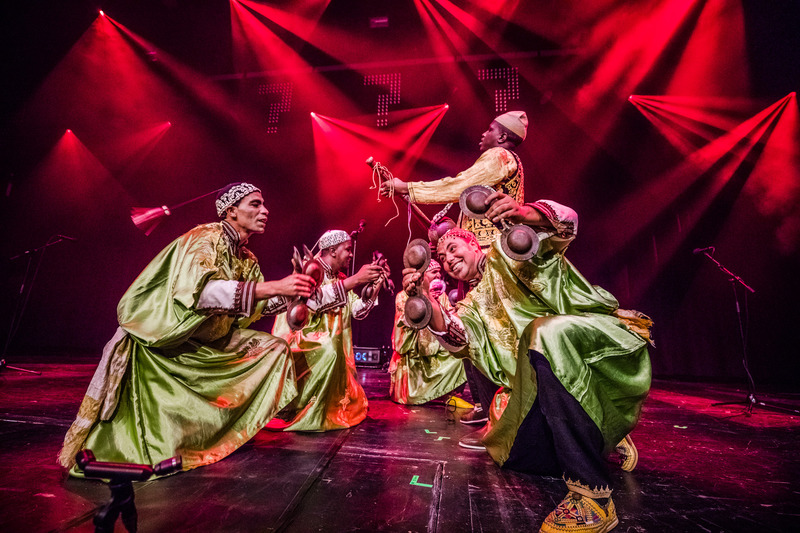 Gnawa is an extensive treasury of ceremonial folk, poetry and dancing, often deeply hypnotic, spiritual and rhythm-based. In 2014, electronic explorer James Holden travelled to Marrakech to work with Maâlem Mahmoud Guinia, a collaboration that imbued traditional and futuristic elements resulting in the 'Marhaba' EP. After the passing of Mahmoud, his son Houssam Guinia now seeks to maintain the legend of his father, and to continue the intercultural adventure that he started. Holden invited Maâlem Houssam Guinia as part of his curated program at Le Guess Who? 2017. For Holden, Gnawa is very trance-inducing music, and trance music in the broadest sense was the main theme for his curated program at the festival. Photography by Ben Houdijk and Melanie Marsman.